Standing in the atelier where silk flowers are made by hand for designers whose names make the front page of fashion news it was obvious that Paris fashion week was approaching. A constantly ringing cell phone, special deliveries and drop in visits from clients. Somehow in the midst of all this the owner, Bruno Legeron, (www.legeron.com) managed to offer us a demonstration of how these delicate blooms are created. Beginning with silk that is starched and dried so that it can be cut into the dozens of shapes with metal dies dated back to the 1800s, to heating the same material to soften it so the tiny fabric pieces can be shaped to resemble the petals of a flower each step is fascinating. Large or small each petal is dyed a specific color (or colors) by hand in a tiny room hardly begin enough for one person to work. The people who do the work are extraordinary. Clever and creative , patient and precise. 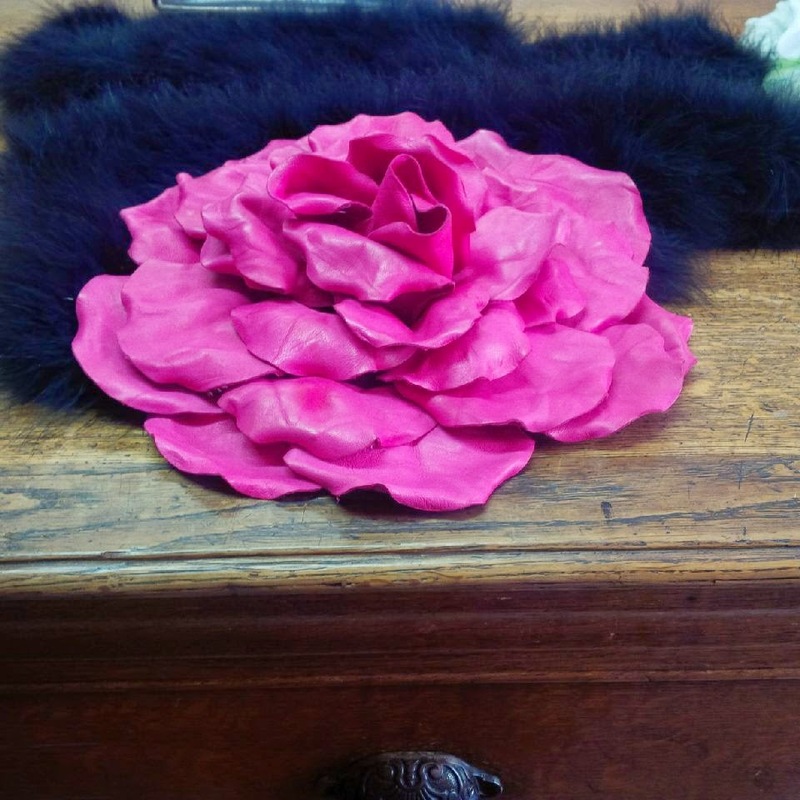 The work they turn out – stunning pink roses, tiny white camellias, shoes and dresses covered in colored feathers or flowers seem to be touched by a bit of magic. But this visit was for me, more than seeing skillful artisans create pieces of beauty. It was also reminder that not everything in our world is made by machines. In the days when 3D printers are about to become as much a household object as toothbrush or TV, it’s good to remember that behind all these objects are people. Individuals who design the product, create the tools to make them, operate the machines and robots that increasingly are part of the manufacturing process. For a glimpse of the flowers of Ets Legeron scan the pages of magazines and newspapers reporting about Fashion Week 2014, visit their website (www.legeron.com) or watch Bruno explain the process of YouTube.